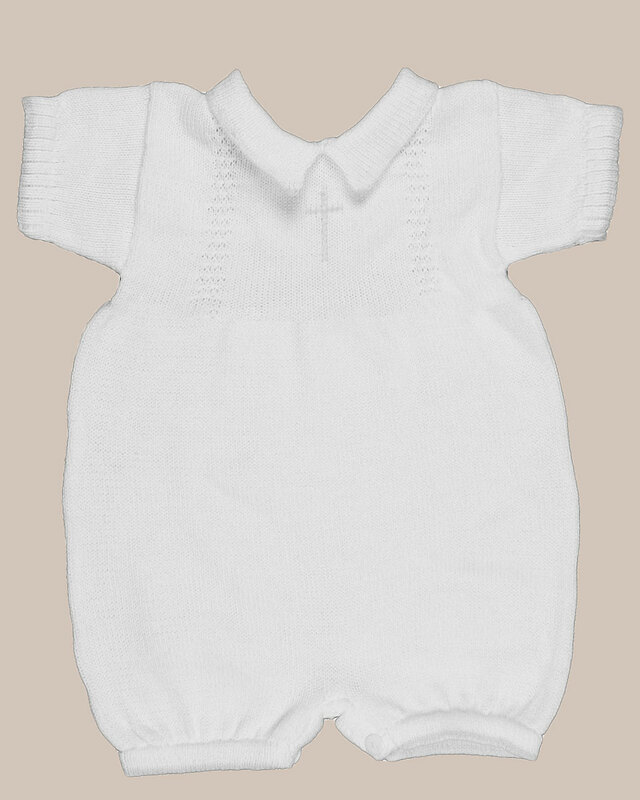 This Baby Boy Super Soft 100% Cotton Collared Short-Sleeve Romper. 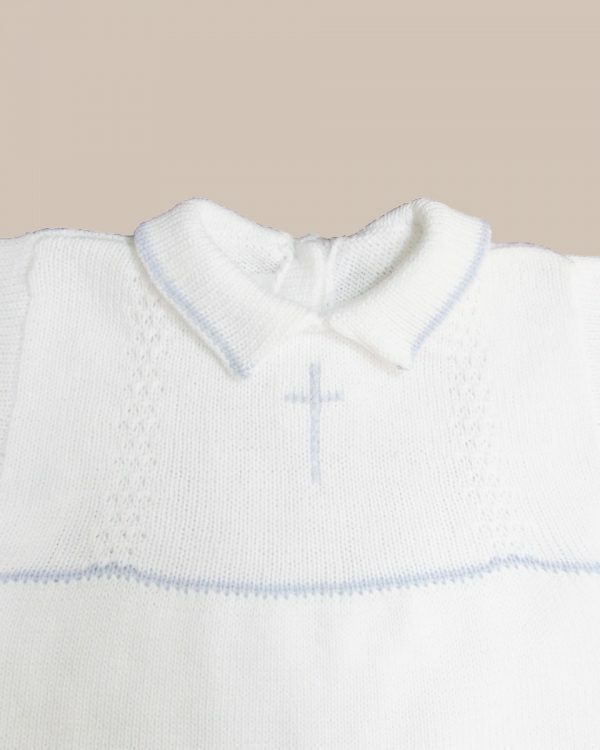 Detail: Hand embroidered light periwinkle blue or white cross on the bodice, with a periwinkle detail line across chest and on edges of: collar, sleeve, pant leg. Bodice: Raised knit pattern on both sides of cross vertically. 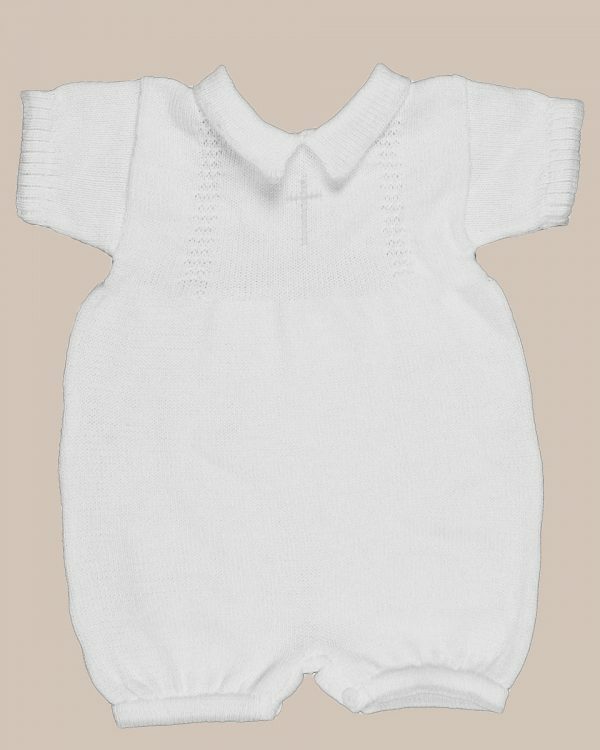 Closure/Edging: Smooth button closures between legs and on back. 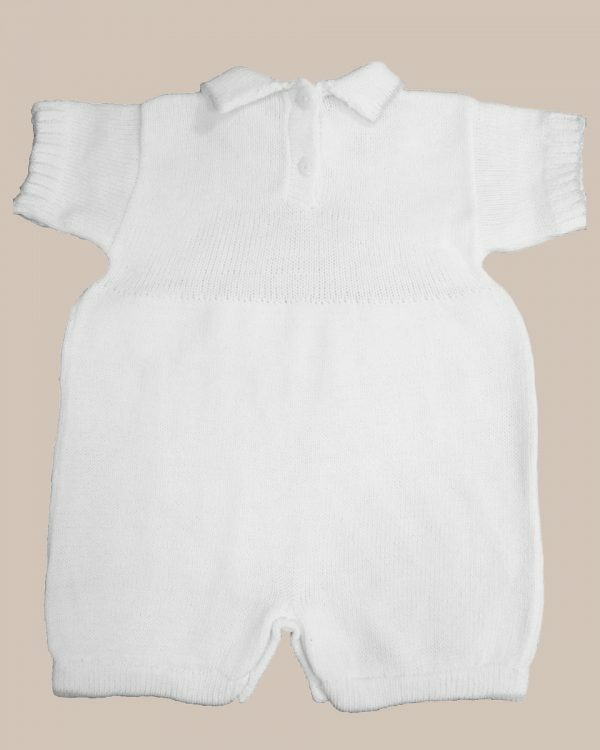 Ribbed sleeve edge with double knit leg edge. 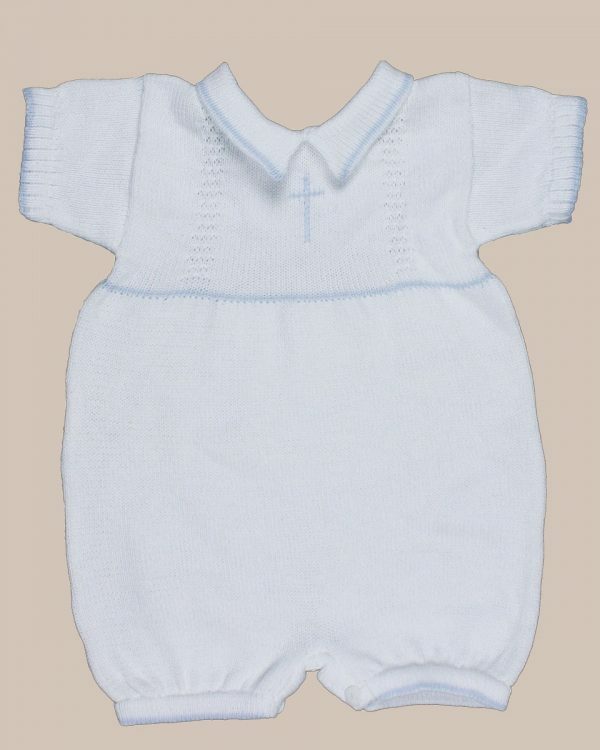 Separately Purchased Matching Cap & Booties: Cap has a single-button closure. Bootie ties with Ribbon. Periwinkle detail line on edges. 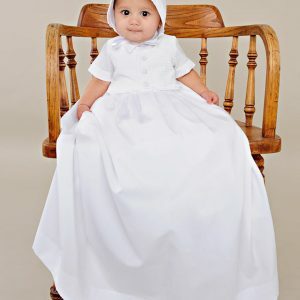 A perfect romper for Christening, Baptism, Blessing, or Sunday Dress. 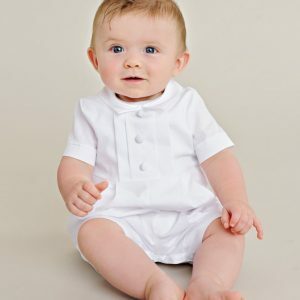 Available NB-12 Months! Hand wash. Dry Flat. 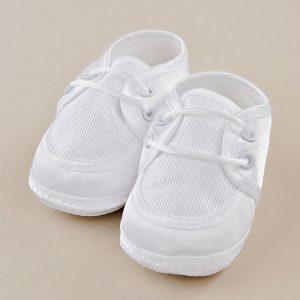 Matching Booties and Cap available for SEPARATE PURCHASE in: NB (Fits NB-6 Month), 6 Month (Fits 6-12 Month), 12 Month (Fits 12-18 Month).